The following is a proposal for MAIZE FARM NIGERIA LTD in Agbor, Delta State. This project requires N1, 000,000. N600, 000 for fixed assets and N400, 000 for working capital. The vision of this enterprise is to ensure efficient production of maize seeds in Delta State, particularly in Agbor. This venture will be located in Agbor because of easy access to the market for sale. Availability of the market for business to serve is very important. The competitive edge of the enterprise lies on the ability to produce reasonable quantity of fresh maize, poultry feed, swallow, igba oka pap, agidi and popcorn. The plan of this maize farm is based on the result of the assessment of Agbor town of Delta State. This assessment has pointed out the high demand of maize products in the area while there are only few maize farms available. The establishment of JANERICH 55 maize farm will go a long way to address the poor maize production in Agbor metropolis. Vision: To ensure the availability of Maize product but known to the people and new uses that is not known which will serve as snacks to the people in and out of its season. Mission: To produce very healthy maize seeds that guarantee the best of product, free of infections. Planting of maize variety that people will have taste for. Ensuring the use of fertilizers in order to foster the proliferation of large quantity products that are healthy. Existence of reliable market outlets. This project is likely to attract people more than the number needed. If the farm land is not permanently owned, land dispute may interrupt the success of the business. This business is solely owned by Bridget Onyemenam. Nearness to the Agbor market, which create easy access of product for sale. The feasibility of land expansion for more products in the nearest future. Available market: It has been brought to notice that the demand figure increases every year to about 42% due to population rise. In Agbor, demands of maize consumers have been properly met by the existing suppliers of maize/maize products and this means that entrants will be attracted into the business as long as there will be expansion in the farm. Fresh maize for direct eating (Corn either boiled or roasted). Costing: The costing of the products is built around feeding and poultry rearing. Feeding: Maize can be eaten directly after boiling or roasting. It can also be consumed in the form of pap, fufu, popcorn, and Agidi. Poultry feed: It is a good supplement for agricultural fowls. Maize in addition to other things like crayfish, foster the growth of chickens. Market Demand: The location of MAIZE FARM NIGERIA LTD in Agbor must extend its tentacles to the nearby markets like Abor market, Asaba main market, Igbaognogo market and even Onitsha main market. This will definitely boost the rate of demand of maize/maize products and as well the supply. Projected Demand of maize producers in Agbor, Delta State: About 10,000 farmers/producers are needed in Lokoja yearly for the past three years. It is imperative to improve on this number since the demand for maize/maize products in Lokoja metropolis is increasing. 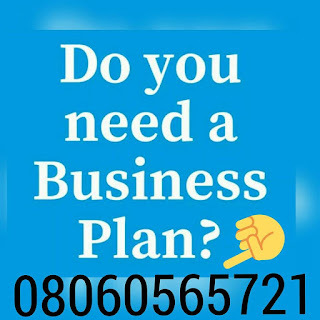 After payment text your names, your e-mail address and what you paid for to 08060565721 and you’ll receive your MAIZE PRODUCTION BUSINESS PLAN & FEASIBILITY STUDY PROPOSAL.